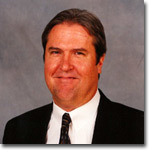 Stephen Barry obtained his undergraduate degree from Stanford University and his law degree from UCLA School of Law. He was admitted to practice by the State Bar of California in 1979. His areas of practice include insurance bad faith, insurance coverage, medical malpractice, wrongful termination, defamation, the Petroleum Marketing Practices Act, the Franchise Investment Law, Appellate work and general business litigation.